The President’s Book of Secrets: The Untold Story of Intelligence Briefings to America’s Presidents from Kennedy to Obama (Public Affairs Books: New York, NY USA, 2016) by David Priess. 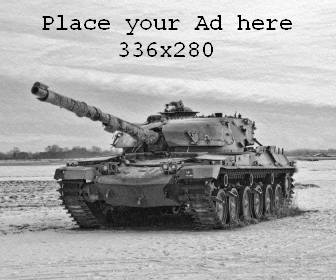 $29.99 USD. Prior to the September 11, 2001 terrorist attacks against the U.S., the Presidential Daily Brief (PDB), also known as “the book,” was a relatively unknown, at least in public circles, product of the Central Intelligence Agency (CIA). However, the investigation into the 9/11 attacks brought about greater public awareness and scrutiny of the PDB. More recently, the PDB has re-emerged in the limelight with questions over how the new U.S. President Trump would use this resource and due to a recent announcement of the placement of over 12 million pages of declassified CIA documents onto an online search tool. 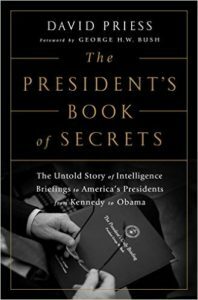 In this regard, David Priess’ The President’s Book of Secrets: The Untold Story of Intelligence Briefings to America’s Presidents from Kennedy to Obama is a relevant and well-written account of the PDB’s origins and how each successive U.S. Presidential administration since Lyndon Baines Johnson (LBJ) has used it. In order to carry out this history, Priess, a former CIA officer and PDB briefer himself, conducted over 100 interviews of all living PDB consumers—Presidents and Vice Presidents—briefers, and other national security professionals. Former President George H.W. Bush wrote the forward, providing a useful insight from not only a former “First Customer” but also a former CIA Director. Given the highly classified content of the PDB, no classified information is contained in the book. Thus, the book is about the PDB itself—including a detailed examination of its precursors prior to its inception in 1964—and the inner workings and personalities of the key figures in each White House’s national security structure over the past 50+ years. Before the PDB, according to Priess, the U.S. lacked a legitimate, independent intelligence analysis capability. However, the Japanese attack on Pearl Harbor in 1941, coupled with Nazi Germany’s rise in Europe, necessitated the creation of one. President Franklin Delano Roosevelt (FDR) established the U.S.’ first foreign intelligence service in 1941—the Office of the Coordinator of Information (OCI)—a precursor to the Office of Strategic Services (OSS), created in 1942. By 1947, with the passage of the National Security Act, the OSS had morphed into the CIA. However, prior to the CIA’s creation, the OSS had its own analytic unit, composed of leading U.S. scholars who were unfortunately overly focused on long form, academic analyses rather than prioritizing analysis of near-term security threats. Thus, after FDR’s passing and with President Truman at the helm, the Central Intelligence Group (CIG) was created which produced the first daily analytic piece—“the Daily Summary”—for the President. First issued in 1946, the Summary underwent a number of format changes and due to the general lack of analysis contained within it, the Summary was subsequently discarded and replaced with the “Current Intelligence Bulletin” (CIB) in 1951. The CIB was then replaced with a new product, the “Central Intelligence Bulletin” (a new CIB). Distribution. Is it only for the President, as originally intended, or for others as well? Priess notes that the level of a President’s interest has directly impacted its distribution—the less interest, the wider the distribution and vice versa. By 2013, it was shared with over 30 people. If distributed so widely, what’s the value added and how is it more useful than any other analytical intelligence product? Utility. Does the PDB add value? Has the U.S. been safer with it? Priess describes how it was sometimes able to anticipate important events such as the June 1967 Arab-Israeli War but failed to do so at other times (e.g., 2011 Arab Spring). However, given the classified natures of such intelligence, how would the public know about the “successes” achieved by items in the PDB? Also, if the PDB were to lack analytical value, as did most of the pre-PDB briefs, why have them? Priess declares that while America was able to survive without any PDB prior to 1964 and without any formal intelligence assessment capability prior to the Truman administration in the 1940s, PDBs are still useful tools to help the President get a heads up on evolving global events. Cost. As Priess notes, the PDB is very expensive to produce. Senior intelligence officials place significant time and effort into a single document on a daily basis when they could be supporting other critical national security efforts. According to former Director of National Intelligence Dennis Blair, as cited by Priess, approximately 10-12 senior CIA analysts focus solely on preparing and briefing on the PDB rather than performing their traditional analytical responsibilities. What’s the opportunity cost? Would the CIA and the U.S. be better served to have these analysts perform other duties instead? Focus (short- vs long-term). Should the PDB focus solely upon immediate threats? And if so, at the potential neglect of analyzing longer-trend trends? If solely focused on longer-term trends, the President may be caught off guard with the sudden emergence of a short-term crisis. Delivery. Should PDBs be accompanied by an in-person briefing? Some Presidents (e.g., Obama) read the PDBs prior to their briefings in order to keep them short, while others (e.g., George W. Bush) spent a lot of time with his briefers, demonstrating significant interest in the PDB content by asking lots of questions. Also, given technological advances, PDBs are no longer delivered on paper. Rather, they’re produced on a Top Secret iPad. How does this impact the effectiveness of the product? Third, Priess offers valuable insights into the preferences and styles of each President since Eisenhower with regard to the PDB or its various precursors as well as into the inner workings of each White House national security team since then. For instance, President Eisenhower placed less emphasis on the CIB, instead preferring structured briefings at the National Security Council (NSC) level which thus opened up the CIB’s distribution to a broader audience of 33 in 1954 to 48 copies by 1957. By contrast, President Kennedy relied more heavily on the CIB and its distribution was more limited. The Bay of Pigs fiasco in 1961 changed Kennedy’s way of dealing with foreign policy, leading to the creation of the “President’s Intelligence Checklist” (PICL). Jokingly referred to as the “pickle,” it was user-friendly and served Kennedy’s preferences—it was short, could be folded and carried in his pocket, and included maps. When LBJ assumed power, following Kennedy’s assassination, he didn’t find the PICL useful initially so the CIA reformatted it to suit his needs. On December 1, 1964, the first PDB, built on the PICL, but with shorter items and in a simpler format, was issued. LBJ loved it—by 1966, it was being delivered 7 days a week. LBJ was especially interested in reporting on Vietnam and Soviet intentions in Europe and enjoyed reading it at night so the timing of its production was changed. President Clinton didn’t always like the PDB, sometimes relying more on the U.S. State Department’s Intelligence and Research (INR) Bureau analytical products and briefings instead. By contrast, President George W. Bush ushered in what was then considered the “PDB’s Golden Age” with his active engagement and insistence that a PDB briefer join him to conduct the daily briefing on all domestic and international travel. Bush narrowed the distribution list which had previously been expanded under Clinton. Speaking of the Bush era, Priess offers a refreshing account of the infamous PDB items, and subsequent controversy surrounding them, on Osama Bin Ladin leading up to the 9/11 attacks. He notes that over an eight-month span in 2001, just prior to the attacks, over 40 PDB pieces were produced related to Bin Laden. However, as Priess points out, the focus of these pieces was mostly on intent rather than on capability, which led to a major failure to properly respond to apparent warnings. After the attacks, Bush spent even more time on intelligence briefings and a new document—the “Threat Matrix”—was created to track terrorist threats. This matrix ended up taking more of the President’s time than the PDB. 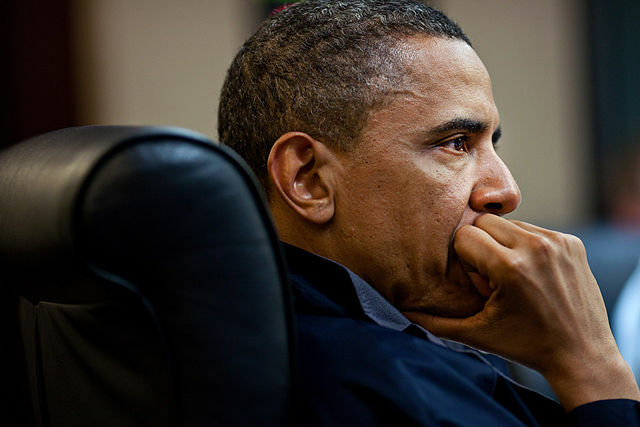 Lastly, President Obama held frequent but irregular briefings and eventually had the PDB delivered on an iPad—the last printed version was on February 15, 2014. Obama preferred to read the PDB on his own, wanted broader distribution, and requested a new product—the daily “Economic Intelligence Brief” (EIB)—be created given the global economic situation inherited upon his assuming office. Obama received some criticism in the press as it was rumored that he attended less than 40% of his PDB briefings after his first two years. In addition to the PDB and EIB, the White House held a weekly “Terrorism Tuesdays” discussion and the National Center for Counter-Terrorism eventually created another product for the President—the National Terrorism Bulletin (NTB). In closing, as Priess contends, the PDB is “here to stay” even if it continually undergoes a variety of style and substance changes to match a President’s particular preferences. As mentioned, this book is highly recommended for national security professionals given the insights it provides into how personalities impact the flow and dissemination of information in the White House, and how the PDB and similar tools are critical to providing Presidents with an opportunity to get ahead of a national security issue before it fully unfolds. The book can be found here at Public Affairs.